Getting indexed ‘’Create an XML sitemap”: Search engines use spiders to crawl your website. Then all the searches are added in their databases/index; so when people make searches on search engines, the results come from this database so it’s critical to list your website within this database. The major thing that spiders look for when crawling your web is your sitemap that lists your URL links. This is very practical each time you create and post a new blog on your website so it will be automatically shown in search engines databases. Submit your website to google and get ranked: Google is the best web that drives free targeted traffic to your website, with billions of daily searches. That’s why it should be the first that comes up to your mind when you get to submit your site. Sign up to google webmaster tool, click on “Add site” and insert your URL; then the last step recommends you to verify ownership so google knows that you and not someone else is attempting to sign up to their webmaster tools. To verify your site you need to ‘upload an HTML file to your server. This is a unique file from Google that contains a distinctive ID code that corresponds to your site. Once uploaded, you can verify your site and Google will see that you have added the HTML file. After you are submitted to google webmaster tool, you have to add your sitemap as well. In order to see statistics about your site, go to dashboard ; Site Configuration>Sitemaps>Submit a Sitemap and point Google in the direction of your sitemap.”Therefore, when you add a new content, your sitemap will be automatically updated via “Google XML sitemap plugin” so google will be notified of new content. 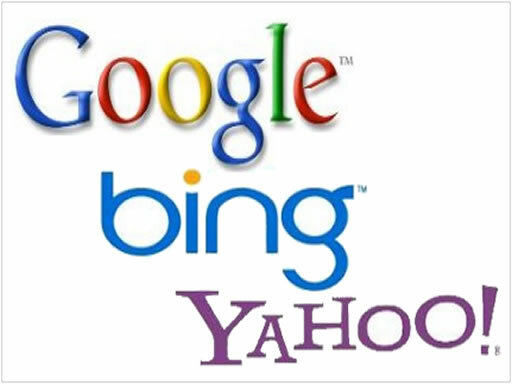 Submit your website to bing and yahoo: Bing and yahoo are partners so once you submit your site to one of yahoo or bing webmaster tool, it will be automatically set on the other. The procedure will be applied the same as google and you could use your hotmail login info when you’re going to sign up and then click on ‘’ add a site’’ and verify your ownership. Download the unique HTML file from bing and upload it to your server. Finally, add your site map, visit bing dashboard and go to :Crawl>Sitemaps (XML, Atom, RSS)>Add Feed and point Bing in the direction of your sitemap. Backlinks: The most important factor that search engines look for is the quality and quantity of inbound links. The greater the relevancy as well as the number of links pointing to your web site, the better the opportunity for that site to rank high on search engines. However google can penalize web owners who try to buy links or participate in link exchanges. So the result is to write great content, appealing website that will lead to create normal backlinks and drive traffic. Target long tail keywords: Unfortunately, people don’t seriously take keyword research as a main factor when they create titles for their blog content, ignoring the competition factor. For example BMW, 5th category 2014 would rank higher than BMW 2014”. As a result, you have to know what your competitors are doing and how to make keyword research the right way in order to generate organic search traffic. Page titles: Every page or content should have a unique title. Your page title should include the main keywords for that page. If you write for example an article of how to cook an octopus, you have to mention it as a keyword within your title or maybe “best ways to cook an octopus”. As a result, if someone is searching for how to cook an octopus you are likely to appear in search engines because you have used those keywords. Titles tags should not exceed 60 characters. Meta description: It should include the main keywords of your blog content so these keywords are used in search results when your page is listed. If your topic is about the best ways to cook an octopus, then your meta description is likely to be “learn easily how to cook an octopus at quickest time possible” as this description is short and contains relevant keywords. Meta description should not exceed 160 characters. URL structure: Generally your website URL should be short and include relevant keywords as this would positively favor search engines. It’s recommended therefore to use search friendly URL to each of your pages. There’s also a major factor that SEO has a significant influence which is the location of keywords: vbout.com/scheduling would work better than vbout.com/357/826/posts/scheduling. Body tags: It’s very important to divide your content into sections or paragraphs in order to let your viewers read your content more easily. You could assign a heading to each section known as H1, H2, H3, H4 tags… Your main heading of your page should be H1 and H2, H3 are considered subheadings. Search engines use these tags in order to determine what’s important within your content. So whenever you write keyword rich headings for your page, assign in the form of priority in H1, H2, H3 title tags. Crawlers use them to distinguish important content. Keyword density: Try to focus on keywords and use them in different forms with the same meaning within your content. However don’t use them excessively because you might risk being banned by search engines. Try to keep your word density in a limited percentage. This problem could be solved by broadening your vocabulary skills. Image SEO: In order to make your website more enticing and appealing, use images. The same thing should be applied to images as well as your page titles when using keywords. You should assign your images relevant keywords as you do for your text. If done the right way, people will find you on search engines when searching on google images. Another way is to use “ALT attribute” with a description to your image to make them more effective to SEO. Internal links: While external links are important for your site to rank better, links that point to other pages within your website is very critical not only for people navigating around your web but also for search engines to find all your pages.